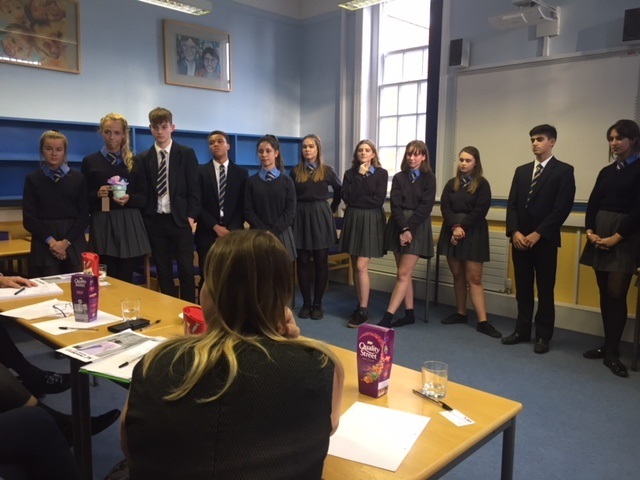 For the past month three teams of year 12 students have been planning, building and creating three different businesses to participate in a competition called ‘You’re the business’. These businesses consist of ‘Lilac Moon’ an upcycling clothing company, ‘Muggy Treats’ who are selling personalised mugs with treats and finally ‘TakeNote.’ who are personalising stationery. 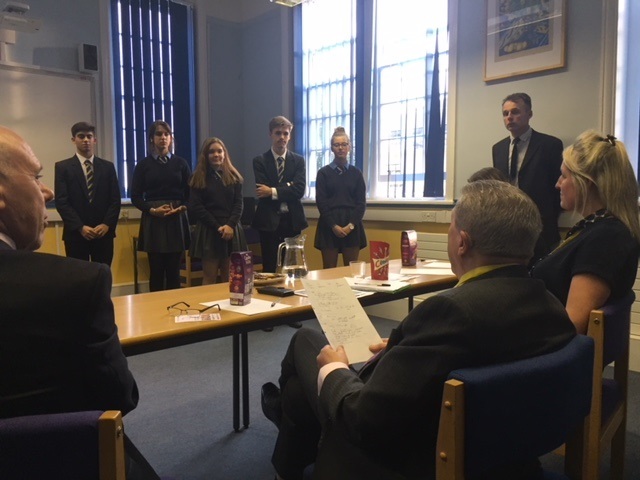 On the 18th of October the three teams competed in a Dragons Den style competition, bidding for the chance to win up to £100 from a team of four industry experts in finance and marketing. ‘Lilac Moon’ presented first, showcasing their stock of upcycled clothes. Followed by ‘TakeNote.’ who presented their ideas for their business including their design for their personalised stationery. Lastly, ‘Muggy Treats’ that showed their products and how they want to take their business further. After all the groups had presented, the dragons deliberated a decision of how they were going to divide the £100. ‘Lilac Moon’ came out on top receiving £50, with ‘TakeNote.’ securing a £30 investment and ‘Muggy Treats’ gaining £20. The dragons also gave each team some constructive advice on how to maximise their potential sales over the next few months. 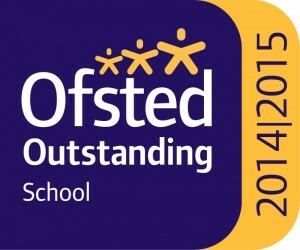 Special thanks to all of the dragons: Peter Smith, Paul Symons, Mrs Moir and Jo Langdon and to Business department for their planning and organisation of the event. We look forward to seeing how the groups grow over the next few months.